Zero halogen cable joints with enhanced fire resistant version are specified and installed to joint single and multi-core cables in onshore, offshore and underground rail applications – suitable for power, control and instrumentation cables (multicore / multipair), 600/1000 volts. Fire resistant cables are specified to provide uninterrupted electricity supply to power, control and instrumentation cables to vital circuits required to operate in fire conditions – applications include underground, onshore and offshore fire alarm systems, voice alarm systems and emergency lighting systems. 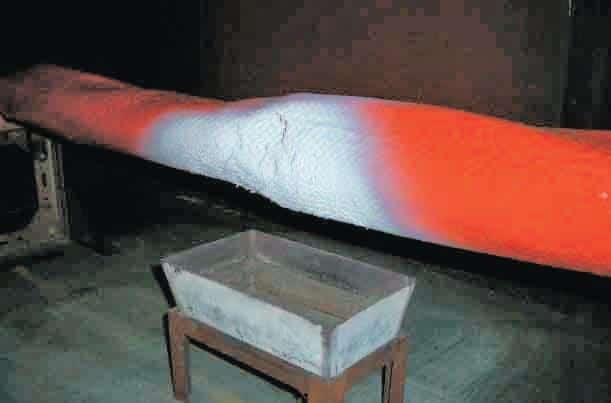 The standard zero halogen heat shrink cable joints can be enhanced to incorporate a flexible outer fire barrier tube and Mica tape protection to the cable cores to provide fire, heat and flame barrier – joints can operate at 1800°F (982°C) and are able to withstand short term exposure up to 3000°F (1650°C). 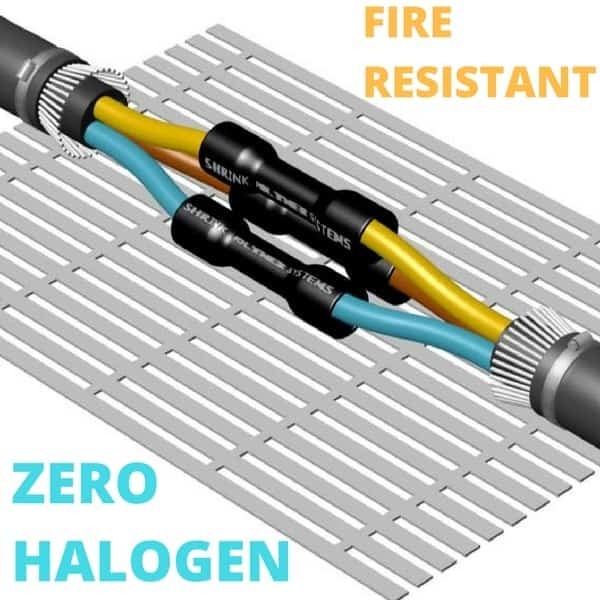 Developed specifically for London Underground and for use within rail tunnels and above surface, the low smoke zero halogen cable joint incorporates flame retardant, non halogen polyolefin heat shrink tubing with a meltable inner liner providing excellent flame retardant properties with reduced acid gas emission and smoke generation. A complete range of multicore and multipair cable joints are available with LU approval for rail power, signals and telecoms cables. Fire resistant cable joints meet the performance and specification requirements for low voltage power and control cables to maintain circuit integrity when subject to fire and mechanical shock under specified conditions. For non-armoured cable joints, omit letter (A) from the part number. Add letter “PR” to end of part number to indicate multipair cables. Fire resistant cable joints ensure continued operation of emergency and essential building service systems required to operate in the event of fire in rail tunnels, offshore, public building and construction industry. ➡ View the complete range of Zero Halogen Fire Resistant Cable Joints.